The Erie Bruce Corp. Project is located at 2112 Erie Blvd. East in Syracuse, NY. 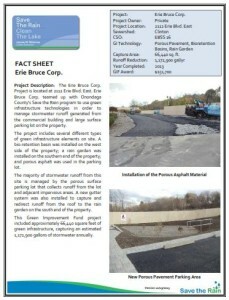 Erie Bruce Corp. teamed up with Onondaga County’s Save the Rain program to use green infrastructure technologies in order to manage stormwater runoff generated from the commercial building and large surface parking lot on the property. The project includes several different types of green infrastructure elements on site. 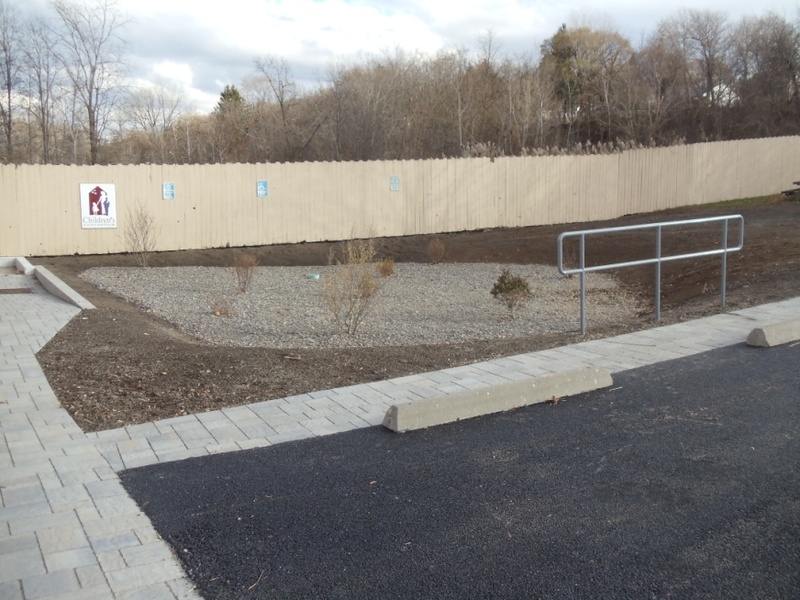 A bio-retention basin was installed on the west side of the property; a rain garden was installed on the southern end of the property; and porous asphalt was used in the parking lot. The majority of stormwater runoff from this site is managed by the porous surface parking lot that collects runoff from the lot and adjacent impervious areas. A new gutter system was also installed to capture and redirect runoff from the roof to the rain garden on the south end of the property. This Green Improvement Fund project included approximately 66,440 square feet of green infrastructure, capturing an estimated 1,172,900 gallons of stormwater annually.